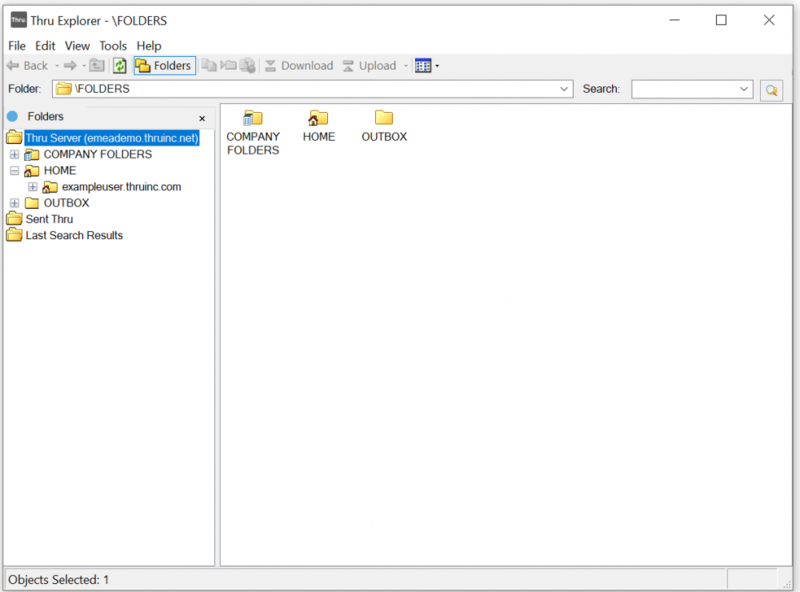 This section of the Thru Add-In for Outlook User Guide will show you how to use the Thru Explorer desktop application. Thru Explorer lets you access, send, and manage your files and folders stored in Thru without using a web browser. To locate and open Thru Explorer, go to the Thru section of the Outlook ribbon and click the Thru Explorer icon (as shown above). Thru Explorer is also available to users of the Thru Add-In for IBM Notes.